Below is a call to action by Food Democracy Now! regarding the approval of another Monsanto GMO product. More research is pointing to the fact that GMO products do impact our health, can affect fertility, and cause pesticide residue to linger in the blood. Until the due diligence is done on the long term health consequences of GMO products, let’s hold off on introducing more GMO products into the environment. Monsanto pushes USDA to approve GMO drought corn – Tell the USDA what you think! As if genetically engineered alfalfa, corn for ethanol, sugar beets, and most recently Kentucky bluegrass for lawns weren’t enough, the Obama USDA is now poised to approve another unnecessary GMO crop, in lieu of independent scientific data and practice of precautionary principles. Currently, Monsanto is seeking approval from the USDA of a drought resistant corn known as MON 87460, which Monsanto claims achieves better results under low-water conditions compared to other varieties. Even the USDA’s own assessment shows that MON 87460 is no more “drought-tolerant” than current corn varieties nor does it have the true long-term potential benefits to meet drought conditions that farming with organic corn can bring to farmers. Unfortunately, like all GMO approval processes in the U.S., the USDA has relied heavily on Monsanto’s own corporate science and failed to get adequate independent, peer reviewed data regarding the safety of this new GMO drought corn or of Monsanto’s claims. Let your voice be heard – Tell the USDA today to reject Monsanto’s GMO drought-resistant corn. In what can only be a glaring scientific oversight, the USDA assessment readily admits that “horizontal gene transfer” of DNA is a common event in nature, but somehow diminishes the potential for the novel genetic components found in Monsanto’s GMO drought corn to be capable of such leaps. Current ag biotechnology relies on a crude insertion of GMO genes done in scattershot fashion, which are by their very creation designed to cross previously untraversable genetic barriers imposed by nature. According to the USDA’s own assessment, Monsanto’s GMO drought corn “was developed through a plant pathogenic bacterium Agrobacterium tumefaciens mediated transformation”. It is the same Agrobacterium tumefaciens that British researchers found that “‘transforms’ plant tissue at ‘plant wound’ sites and ‘clearly demonstrates that when placed together on damaged plant tissue, Agrobacterium readily transforms associated fungi’”. It is hard to understand how scientists at the main U.S. government oversight agency could miss these facts in their own assessment of a new GMO crop, but like previous administrations, officials in the Obama administration appear more interested in fast-tracking Monsanto’s GMO technology. Tell the USDA that they need to reject Monsanto’s studies of their own products and demand more independent peer reviewed data before it can approve any more GMO crops. 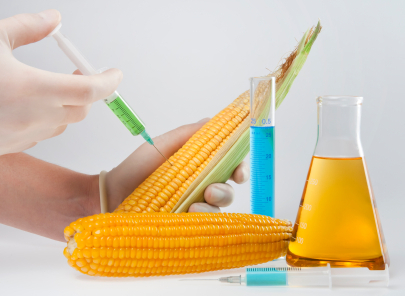 Monsanto’s Missing GMO Genes: Where did they GO? This past spring, further punctuating the point of gene trasference from plants to humans, Canadian scientists alarmingly discovered traces of the Bt toxin from GMO corn – engineered to release an insecticide – in 93% of blood samples taken from pregnant women and 80% umbilical cords tested. This discovery comes in spite of promises by ag biotech companies such as Monsanto that this was not possible. For any mother or parent such findings should bring about a sobering awakening that U.S. governmental regulatory agencies are not adequately doing their jobs and that more independent peer reviewed studies must be conducted before any more GMO crops are approved by the USDA or the Obama administration. Click here to send in your public comment to tell the USDA that they need to reject Monsanto’s studies of their own products and demand more independent peer reviewed data before they can approve any more GMO crops. 1. “PLANT PEST RISK ASSESSMENT FOR MON 87460 CORN” U.S. Department of Agriculture, Animal and Plant Health Inspection Service. 3. “GM food toxins found in the blood of 93% of unborn babies”, May 20, 2011, UK Daily Mail. Below is a reprint from Food Democracy Now with a call to action to let the USDA and Department of Justice know that our local farmers must be protected. Watch out for corporate control of your food! And, please consider a contribution to Food Democracy Now! They offer a balanced perspective on the agriculture industry and work diligently on our behalf to keep the US food supply safe and healthy. The quality of the food we eat is one of the most important components to health and well-being. Recently, the Departments of Justice and Agriculture held their first joint workshop here in Iowa to gather evidence of antitrust violations in food and agriculture. (1) We were encouraged by the workshop, the first of five to be held this year,(2) but also concerned that the same companies that have caused these problems were well represented on the panels, while the family farmers most negatively impacted by corporate food monopolies were only given the opportunity to speak after public officials had left the building.